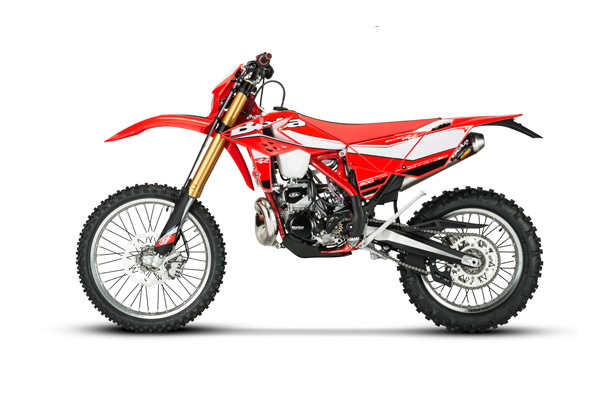 After the great sales success and major sporting achievements from model year 2016, Beta launches new Enduro line that marks a further qualitative step compared to previous versions. The last few seasons they have in fact proved to be extremely positive for RR: just think of the first absolute statements in the World Enduro Beta - GP Portugal and Sweden in 2016 with Steve Holcombe - in addition to the many victories and podiums ever class of Steve Holcombe Racing, but also Johnny Aubert Official and Alex Salvini # 9. Even nationally, thanks to Alex Salvini, were many statements, both absolute and category. Continuing the evolution of a motorcycle so competitive and successful, the company has increased what are the advantages and distinct characteristics of RR: ease of driving, immediate and sincere feeling, design and quality. 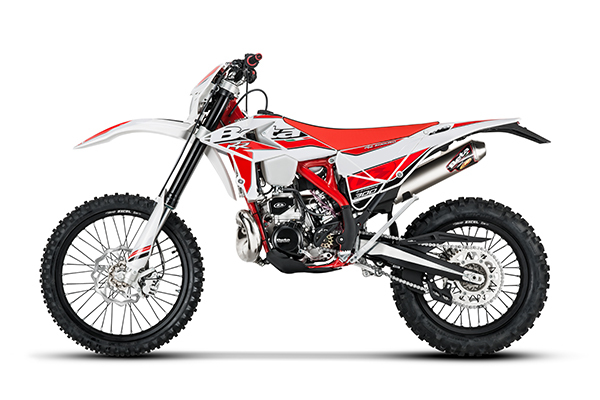 The models 2017, declined with 250/300 cc engines. for 2T and 350/390/430/480 cc. 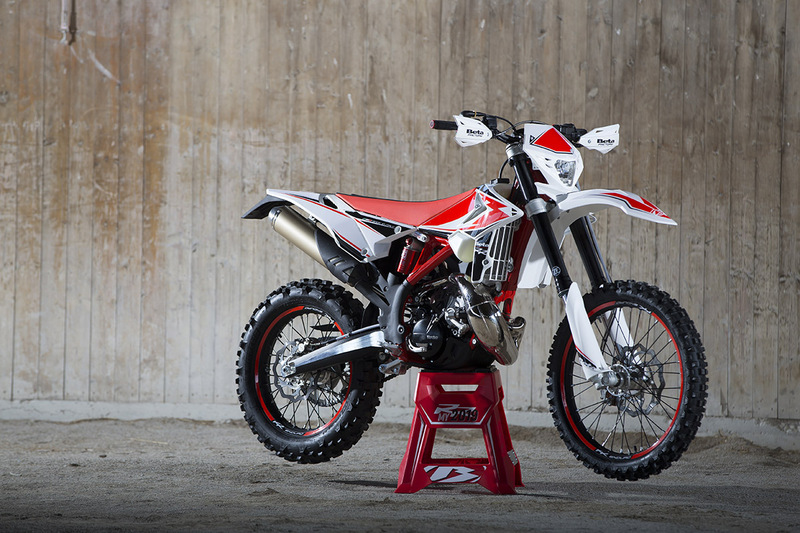 for 4T, they are a direct evolution of the version 2016, of which retain the elements most successful. Even the engines was carried out until a development work, also thanks to the contribution of the official drivers - Steve Holcombe and Johnny Aubert for 2T and 4T for Alex Salvini - have enabled us to introduce important innovations. For the 250 and 300 2T, as it already happened in the previous version, the automatic mixer is adopted on all engine capacities: besides guaranteeing a perfect mix of gas-oil in all conditions of use and speed, is eliminated the hassle of having to preparing the mixture and to always have an oil stock in the event of supply. Both engines have been subject to European standard Euro4 - for units produced in the second half of the year - and the preparation of the unit for a connection via CAN, which allows you to communicate with the generic diagnostic tools. A separate issue is the 350, 390, 430 and 480 4T on which it was confirmed that the fuel injection system, thanks to its reliability, ease of management and extraordinary progressive delivery, has generated numerous positive feedback from end users. The system is tested Synerject with a throttle body 42 mm in diameter. Of all displacements - already comply with the European standard Euro4 - are introduced: the new camshafts - the modified lift profiles radically change the heart of the 4-stroke engines, making them even easier to drive but keeping the reference absolute performance - and restarted valve springs - which, combined shaft to the camshaft, possible to considerably improve the rolling of the motors to a minimum and to reduce the effect of the engine brake. Even in this case, the control unit is arranged to a connection via CAN, which allows to communicate with the generic diagnostic tools. For RR models, prices unchanged from the 2016 model year. Even the model xtrainer 300, the new look has been updated according to the Euro 4 regulations. We have some exceptional Paddy Dakar news. This years event could be the biggest to date with 200 entries! NMC bikes will be down at the paddy participating, we hope to see you all at the weekend. 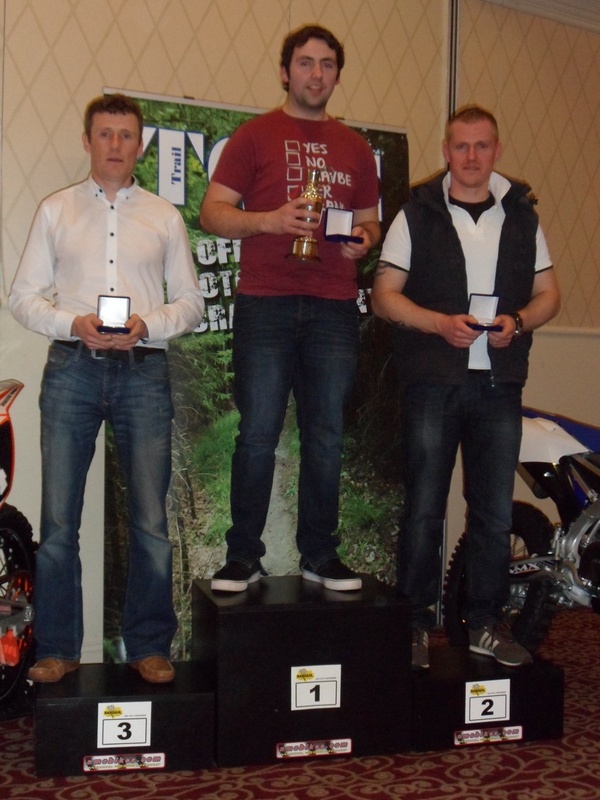 Nmcbikes would like to say a big congratulations to David McNulty (250rr) and Shamie Hayes (250rr) on taking top spots in the Irish Enduro championship 2015. This is the first time Beta have taken the overall in the Irish Enduro championship. NMC Beta team are currently 1-3 in Irish National enduro championship after the 2 day Enduro in Killavullen. With David McNulty securing the overall on his 250rr. Shamie Hayes also rode to a solid 3rd place overall on board the 250 machine.